Cancun Valet. For the door-to-beach experience. Thank you for choosing Cancun Valet for your Private Transport Services and selecting Mexico for your holidays. Here is how it all started. 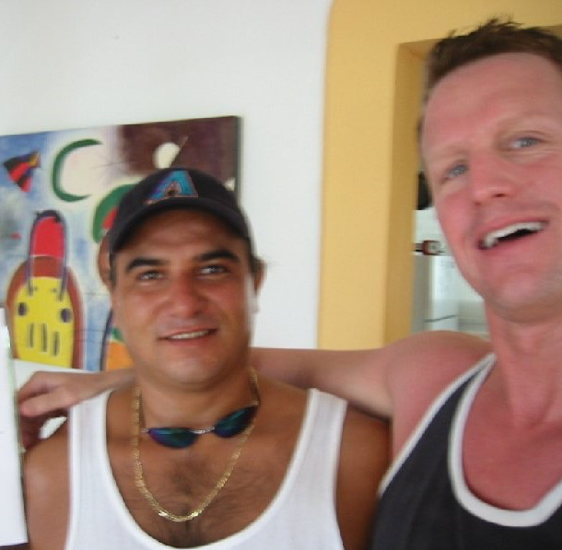 Back in 2002 my dear friend Grey and I opened this company with the purpose of providing grocery delivery service to tourists visiting the destinations of Cancun and Riviera Maya. Knowing that at that time the selection and variety of imported foods were just a hand full of products while the local brands that were of great quality and price were not necessarily “known” therefore trusted, we saw the opportunity of helping tourists by saving their vacation time spent on grocery shopping along with all the “inconveniences” that came along with it. For years we provided Grocery Delivery to all tourists and then friends while staying at hotels, time shares, villas and private homes in Cancun and along the Riviera Maya as far south as Tulum. Later on we added to our service Equipment rental such as baby equipment like car seats, high chairs, play pens etc, Cell Phones rentals with charge by the minute to calls made or received anywhere in America and Europe and lastly included the Transportation Service. As years passed and the destination grew, technology got so good in the line of communication, and the world trade got so diverse and expanded to every corner of the world we saw no more the need of the equipment rental or grocery delivery so eventually discontinued those services and focused don the Private Transport and Private Tour service. Back in early 2004 Grey decided to pursue a career in Education, so he moved back to San Francisco where he is a very respected Elementary School Teacher providing education to 6th Grader’s at Presidio. As for me, I spend most of my time travelling between Cancun and Florida overseeing the day to day operation and helping the staff make their best possible to guarantee our friends and customers a safe and fun visit to our country and the beautiful destination of the Mexican Caribbean. Come, visit, enjoy our endless variety of culture, food, beaches, cenotes, archaeological sites, shop our local textiles and handcrafting, experience and admire the local art and folklore and most of all, our best and priceless asset you can only experience here…. Our people!